Why List With The Amy Stockberger Team? 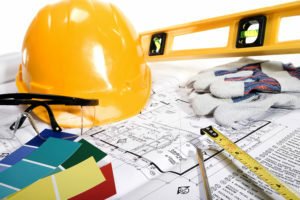 Should you remodel your Sioux Falls home or move? Our training & dedication to your goals will ensure we exceed your expectations. If you don't love it, we sell it for FREE. Sell your home within 89 days or we will buy it. Buy one of our listings and we’ll buy yours. Get lifetime access to our Free Moving Trucks, Party & Tool Sheds, Moving Concierge & More. We offer Easy Exit options on our contracts to ensure that you are 100% satisfied. Sioux Falls is a wonderful place to live with its natural beauty, blooming arts scene, and growing economy. The real estate market here is hot with a lot of great properties. You may be considering either remodeling your home or moving. Here are some pros and cons to help you make up your mind. You get to move! Maybe your family has grown or you want to downsize, you now get a whole new space and a whole new neighborhood. There is something exciting about the prospect. No construction zone. Remodeling means a lot of noise, mess, and dust for a while, whereas moving means avoiding all that. A definite pro. No contractors. There are always bumps in the road or unexpected delays when remodeling, and these come with a fair amount of stress. When you move, you can choose a house that already meets your specifications. Leaving an area you love. Sure, moving is exciting on a certain level, but it also means saying good-bye. Expensive. Moving is not cheap. In addition to the mover’s bill, you will also be footing quite a few others, like closing costs and real-estate commission costs. Stressful. Moving is not relaxing. Along with keeping all of the details straight, there’s also the disconcerting feeling that you’ve lost all your belongings. It takes a while to feel at home again. You don’t have to move! Although there is a thrill in getting to know a brand-new place, there’s something to be said about staying home. If you have kids, this also means they don’t have to change schools or leave friends behind. It’s you exactly. Remodeling lets you alter your existing home in exactly the way you want. It will be designed just for you. Pay with equity. If you have enough home equity, you may be approved for a home equity loan. This means you can use your house as collateral and borrow against the house’s value to pay for the remodel. Surprise expenses. It’s rare when a remodel finishes on time or doesn’t come with surprise expenses. This is especially true if your project is large-scale or involves plumbing or the structural components of the building. No money back. It’s also rare to get 100 percent return on your money, meaning that if you spent $20,000, the value of your home may not increase by that much. It’s probably not the only reason why you chose to remodel, but it’s important to understand the returns. Long-term stress. In terms of time consumption and stress, remodeling takes the cake. With contractors, a million decisions to make seemingly everyday, and a billion other hassles, you have to have a tough constitution to take it. Whether you decide to move or remodel, it is always helpful to have someone professional on your side. Contact the experts at the Amy Stockberger Team to help you make the most informed decision for your lifestyle and budget.